Seminar: Kembara Bersama Rasulullah s.a.w. 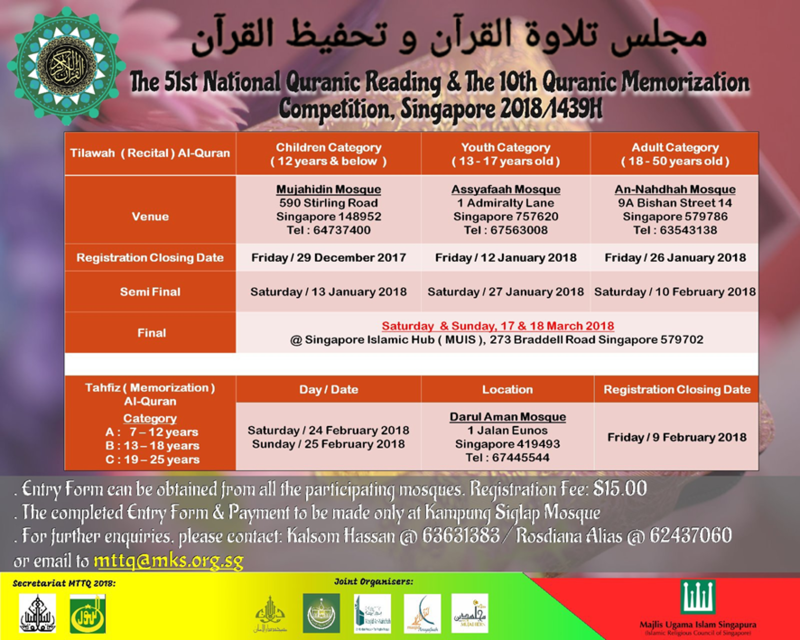 Registration for the National Quranic Reading & Memorization (Tilawah & Tahfiz) Competition 2018M/1439H is closed. Download the registration form here. There is a registration fee of $15. Submit the application form and registration fee to Kampung Siglap Mosque only.